Have You Checked Your Plumbing Lately? Problems like clogged sewers, leaks, and broken HVAC systems are part of being a homeowner. Count on Storsberg when you need the quick reaction and quality of a skilled technician. We are a family-owned company that provides friendly, affordable service. Conveniently located on Long Beach Island, New Jersey, our reliable technicians arrive on time when you make an appointment with us. We have lived on the island throughout our lives, so we know the area like the back of our hands. 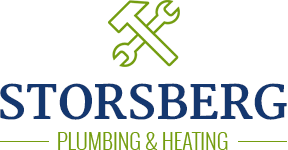 If you're in need of plumbing repair or cooling and heating services, contact Storsberg today. We cater to Long Beach Island and Manahawkin New Jersey. Whether you need routine maintenance or emergency services, we can help. We will increase functionality in your home and give your fixtures a longer life span. Storsberg has been in business for more than 35 years, so we know how to get to the heart of your problem quickly. Our detail-oriented technicians work with water heaters and toilets, and we give up-front pricing. If you have a summer home, we can help you make sure that everything is shut off properly during the winter. Call us for more information.